Now that Halloween has passed, the main focus on everyone’s holiday radar is Christmas. Does it seem to be a little early? Of course. But with the holidays around the corner, there is a lot to worry about such as; family functions, friend festivities, baking, all the shopping, and the work party. Work holiday parties are an important deal for a number of reasons. It’s a time for you to get to let somewhat loose with the people you see for most of your days, celebrate something other than finishing work alive on a Friday, hopefully impress your boss and make a good impression of yourself in a professional, yet fun way. And sadly you can’t just wear an ugly Christmas sweater and expect it to go well with your bosses. For anyone who needs a new idea of how to “wow” your colleagues at this years event, here are my best suggestions on how to look hot but not like one of Santa’s ho ho ho’s. The red dress is a classic staple for a casual or formal holiday party. Change up this look by adding a leather jacket, or large accessories or even a blazer to revamp the traditional look. By adding a sparkly skirt, pants, or even a top makes the world of a difference. Match it with a plain color like white or black and you’re shining like a diamond! Every woman has a LBD hanging in her closet dying to be worn. Take it out and add a different colored shoe, scarf, or clutch. You can dress it up in so many ways by the accessories you chose to add to it. Plaid is extremely in this season and you can wear it in a number of ways; as a blouse with leather leggings or a pencil skirt or as a poncho or scarf. There’s something cozy and comfortable about a person when they wear plaid. You can literally wear anything with a big and bold necklace and it’ll automatically change what you’re wearing from casual to fabulous. 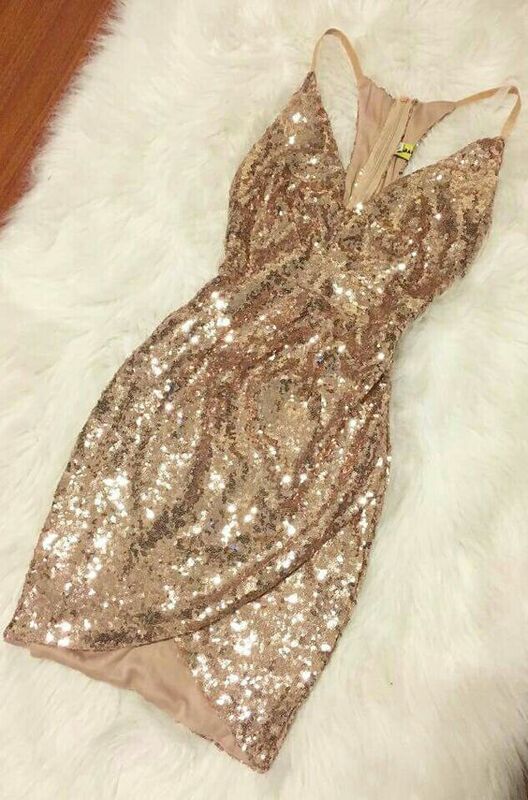 Anything gold (or gold sequined) will always be a hit at any party, as long as it’s an appropriate length (if it’s a dress). Even if you choose to wear a teal colored top paired with gold jewelry, it looks so sharp and dressy! Throw on your best jumpsuit, a nice sock bun, or top knot and a bold lip and you are good to go. This look is so easy to accomplish and super trendy. A furry vest can go a long way during the holiday season. It’s warm, it’s simple, and it’s bold enough to get you noticed. Obviously, it doesn’t have to be real fur if you don’t want it to be, faux fur is more accessible, affordable and economical. Velvet is a huge trend we will be saying hello to in the new year, so why not bring it out a little earlier on? It could be a velvet top or even a pair of shoes. Once it becomes a fashion statement in the new year everyone will remember back to when you wore it at the office party. Hello trendsetter! Regardless of the occasion, all of the tips above can be used in a number of ways and can actually be intermingled together almost flawlessly. Don’t be afraid to take a peek on Pinterest for any ideas or scroll through a few fashion pages on Instagram to get your inspiration! Good luck and enjoy the eggnog… or any other fancy drink.